Interest in angels continues to grow across the world year after year, and "Angel Inspirations" makes a unique contribution to a publishing phenomenon of our times. The book is filled with fascinating stories of angelic encounters, both ancient and modern, including Jacob's wrestling bout with an angel in the Old Testament, St Joan of Arc's inspirational vision of the Archangel Michael, and the angels many have met in modern-day Near Death Experiences. We also learn about the role angels play in Islam, in the Kabbalah, and in many other cultural and spiritual traditions. Our guardian angel is our unseen soulmate, watching over us and seeking to be part of our life. "Angel Inspirations" offers all the practical advice we need to welcome our guardian angel into our heart, through prayer, affirmation and meditation. The angels want us to be the best and happiest people we can possibly be. They can serve as great supports and exemplars to everyone interested in personal and spiritual growth. 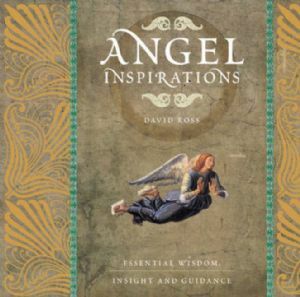 By exploring the 25 angelic qualities revealed in this book (including Compassion, Service, Confidence, Justice and Wisdom) and following the many practical tips offered, we can develop these qualities within ourselves, thus enriching our lives in ways beyond imagining.